Virginia Kidd is best known as an influential agent; she also edited a small number of anthologies. 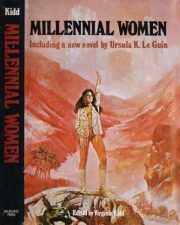 1978’s Millennial Women (also published under the title The Eye of Heron and Other Stories ) is perhaps the best known. It contains six science fiction stories of widely varying length, all by women, all original to this anthology.